- Welcome back to Loot Island. Let's pick up where we left off and talk about the cards you play to get to your treasure. - Yeah, I was reading up on some things, and apparently our ship moves at the start of every round and we only excavate the two landings right in front of our ship? - That is correct, yes. - Are there any other sudden surprises I should be aware of? - Well, surprises might be a bit misleading. I mean, everybody knows you'll draw an event card that will slightly change the rules for that round. - And by everybody knows, you mean you knew and that's it? - Of course not! That's preposterous! Now we both know. - Glad I asked, then. Another thing, I noticed some of the cards have symbols on them. - Right. Let's talk about the special abilities of cards. Some cards lead to even more treasure, meaning the pay out at the end of the turn is even bigger. Some cards let you draw another card into your hand. Well, you and everybody else who has their compass on that landing. - How nice. We're sharing things now.…... yaaay. - Other cards even let you discard a curse. Again you and everybody else who has a compass on the landing. - Even better. Universal healthcare. Somebody should call Bernie Sanders. - I think I see where you're coming from. This is all too touchy-feely, Kumbayah for you. Not to worry. The number 1 card is special. Not only are you allowed to slide it under cards already on a landing, letting you sneak in your compass. You also get to copy the effect of a card already played there.... for yourself. Nobody else gets the benefit! - That's something I guess. - But even better... or worse... if the first card played on a landing is a 1, everybody else gets a curse on them. 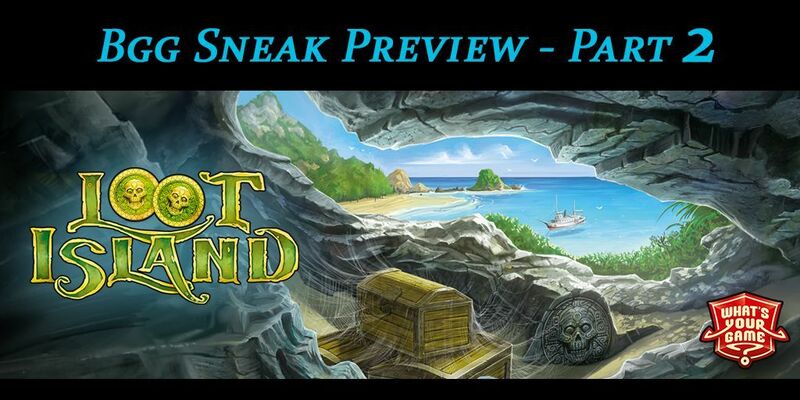 The island likely assumes that you are the rightful owner of the treasure, and everybody else is just a conniving fortune hunter out to enrich themselves. - Whaaaaat?! They're doing it for the money? Gosh, the nerve! - My words exactly. This is a cruise among friends. We do things together! After all, the chances of having enough cards in your hand to find treasure on a landing are really small. If you want to get treasure you need to find somebody to join you piecing the map pieces together. - I'm not falling for that. Sharing doesn't work. People are just plain greedy. They'll take everything for themselves. That's why we can't have nice things. Like toppings on only one half of the pizza. Or equal pay. - You get third pick of the treasure cards drawn? But by then all the good ones are taken. I'll be left with items that will heavily curse me, or the gauche and tacky stuff, that's worth next to nothing. - Well, such are the exotic customs of this island! We pick in order, and go to the back of the line. And so it goes, round and round for each player with a compass on the landing, until you run out of treasure cards from there. Then it goes on to the second landing, provided it has enough cards on it. - Enough? How many cards are enough? - Depending on how many treasure hunters you happen to be competing with, it goes from four to six cards. But the more cards you have, the more treasure you might find! 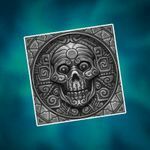 - Those treasure icons, you mean? Those increase how many treasures I draw? - They do indeed. 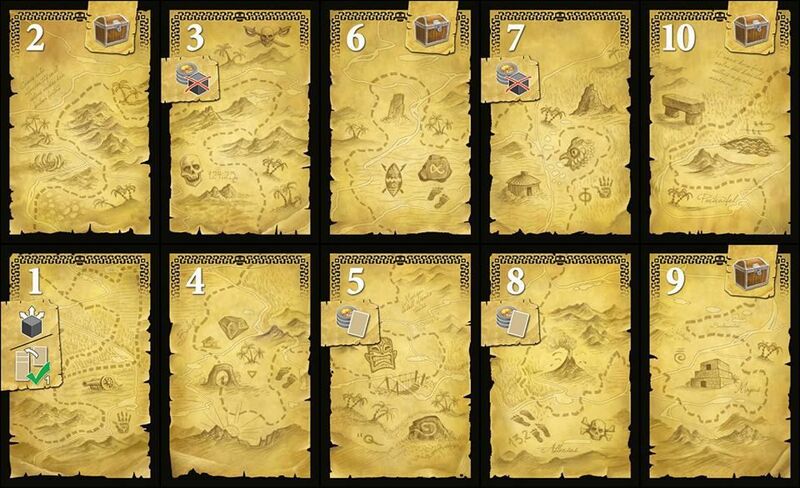 The longer row of map cards will generate one treasure per player compass, as well as one treasure per treasure icon on the cards. 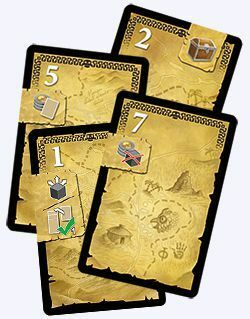 The shorter row will only generate as much treasure as there are treasure icons on the card. 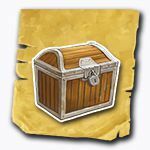 There is even a name for that big treasure and the smaller treasure, if there are enough cards there. - Is it called bag o'gold and scrap o' gold, or is it called my retirement fund and your sock drawer savings? - It's called the big loot and the small loot. - We pirates sure have a way with words. - We're not pirates, we're early 20th century adventurers! - You say po-tay-to, I say po-tah-to. - Actually, I say we should look at gameplay interaction next time. 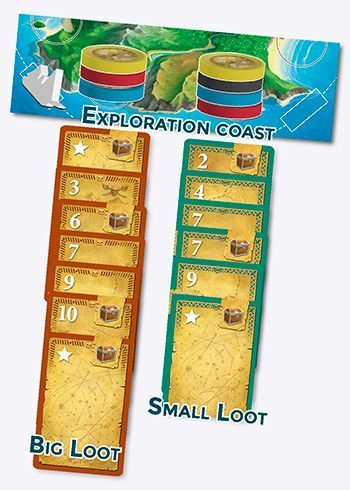 Loot Island is a medium-to-light card game for 2-5 players. Designed by Aaron Haag, it will be released at Spiel 2017 in Essen by What's Your Game. Georgios Panagiotidis is host, writer and editor at the Perfect Information podcast. A board game podcast full of inappropriate humour and appropriate amounts of swearing. Questions are good. It makes writing the next posts easier. Fire away! 1. Do the colour borders on the map cards have anything to do with the player compass colours? 2. Will I find One-eyed-willy? 3.In the example of Big Loot and Little Loot how is it tracked who played which card (this ties into question 1)? 1. Player colour only refers to the compasses, not to the cards. Those are more like suits, which don't belong to any player. But once played into a landing, players may only play cards of the same suit/colour into it. 2. If you've checked your pants and found him missing, I would suggest medical experts that might know about the various options available to you at this point. Be strong, we're all here for you. 3. The compasses track who played cards into a row, and in what order they joined a row. That's all that matters when it comes to picking treasure. The number of cards a player added to a row is irrelevant for that.